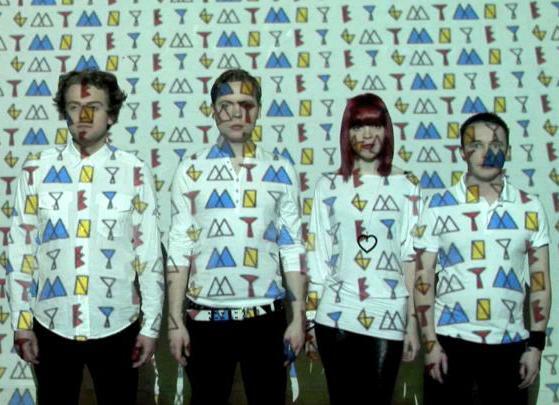 >Today’s New Band – My Tiger My Timing PLUS! "I wanna be a d-o-o-o-g"
When I was in my mid-teens, oily of skin and squeaky of voice, I listened to The Stone Roses’ eponymous debut album twice a day, every day for about a year. How did this frightening set of circumstances come about? Well, a young world-view, musical or otherwise, was mainly to blame. This meant that some bands of that time (Pavement et al) were a lot lower on the radar than they should have been, and bands from the near past (Joy Division and friends) may as well have been, to my teenage ears, my grandparent’s very choicest of 78″ acetate discs. At that age you seem to get – no, actually, actively, subconsciously want to get – amorously attached to one band. Teens want a band that means something to them and them alone, regardless of how many copies of their favourite album have been sold, and so listen religiously, looking for and finding extra meaning that fair weather fans have missed. Clinging onto one band is not a bad thing per se, but it does legitimise the careers of awful bands who scraped the bottom of the rock barrel a long time ago. There is a reason why Ocean Colour Scene are still touring. This is also the reason why listening to Today’s New Band, My Tiger My Timing, is the right thing to do. They’re a band that have found how to be arty and not jarring – one of rock’s holy grails. Thus, the least we can do is point our ears in their direction. This Is Not The Fire quickly unfolds into one of the jerkiest, warmest pop songs of its unusual ilk this side of Born Under Punches by Talking Heads. It rambles freely in its self-imposed sonic limitations, eager to seek out every cranny of possibility. Conversation Starter, full of gentle punches of pulsating sounds, steely guitar shimmers and careful chanting, dreams of shiny space-pop and aims high enough to get there. My Tiger My Timing are an example of a band Doing The Right Thing. Not only are they NEW! in spirit and sound, but have delicacy, urgency and the desire to make sounds that you haven’t quite heard before. Ace! Listen here! Posted on February 5, 2009 by Joe Sparrow. This entry was posted in Today's New Band and tagged Mathemagic, tinkling, yelping. Bookmark the permalink. ← >Today’s New Band – RevoLucian PLUS! Toast Insanity!